If you're like me, you love a road trip. 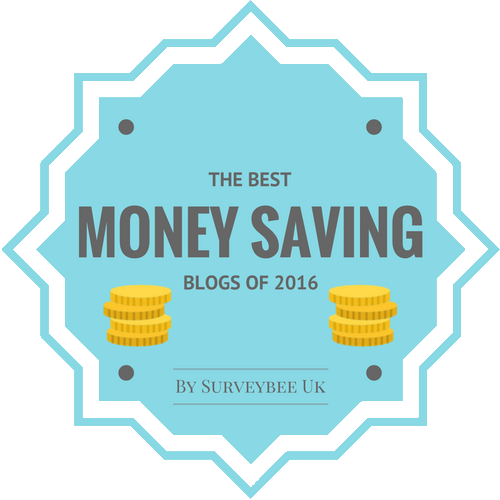 Unfortunately, having to fuel up can make a long trip less budget-friendly and flying a better deal in the long run. 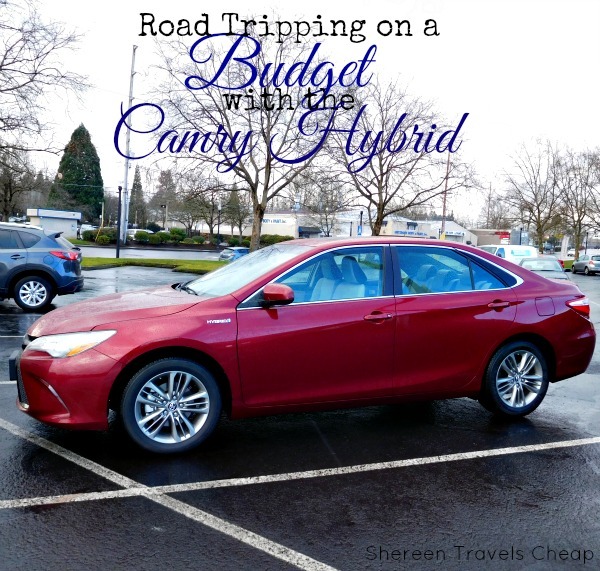 Even with gas prices down, those costs can really add up, which is why a hybrid can be your new best friend when it comes to saving money when hitting the road. Whether you're at home or driving down the coast, Toyota's hybrid selection should be on your list to check out when you're in the market for a new car. 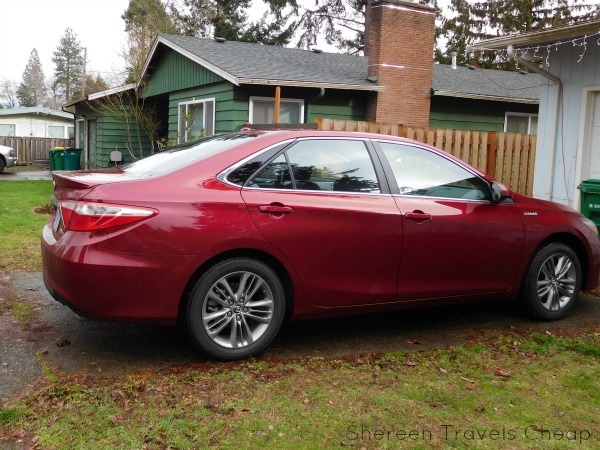 A few weeks ago I had the chance to drive around the 2016 Toyota Camry hybrid and, let me tell you, it made me sad to give it back and return to my non-hybrid. While I didn't have the chance to go on a road trip while it was in my possession, I did have the opportunity to drive it around town quite a bit and take it on the highway to visit a friend outside of Portland (24 miles each way). I also packed it up as I plan to pack for my next trip. I drove 150 miles total over the week and never used a quarter of a tank of gas. Woo! 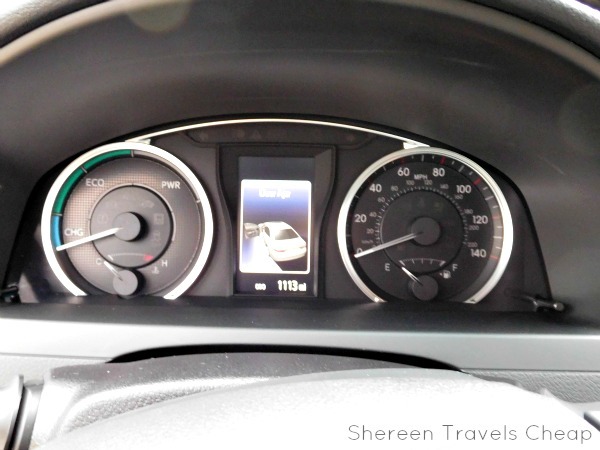 The Camry was tricked out with all the bells and whistles that make driving fun and easy. It has a push-button start. This is the second time I've driven a Toyota with this feature and, while it's weird at first, it's kind of awesome once you get used to it. You use your key fob to unlock the doors, put it back in your pocket, then hit the brake and push the button and you're good to go. It barely makes any noise, so the only way you know the car is on is the fact that everything inside comes to life. No waking up your neighbors by leaving or coming home really early or really late. 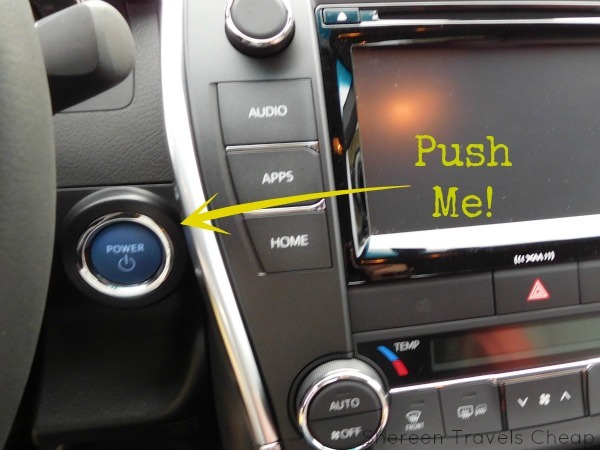 Once you've reached your destination, put the car in park and push the button again to turn the car off. Fancy! I'm short, so it can be hard for me to find a car that adjusts well enough for me to be comfortable. There's a whole brand of cars that are not made for people like me. Toyota understands my plight and has an adjustable driver's seat that makes it a dream for me to drive. It offers lumbar support and seats that go forward and back as well as higher or lower. This means I can be as close as I want to the pedals, but also customize the seat position so I am taller than I would be in a lot of other cars. I can easily see over the steering wheel! Maybe nobody else gets excited over cup holders in their car, but I certainly do, especially when I'm on a trip. The Camry has at least 8, which means you can always have a bottle of water at your disposal, plus any other drink you've brought along or picked up with your fast food. The front seats have bottle holders on the doors and two cup holders (where the divider can be removed) on the console. The back doors have the same bottle holders and the middle seat flips down to reveal 2 more cup holders and an arm rest. So, it's perfect for all your drink needs and also can be used as a dividing line for squabbling kids. It's a win-win. 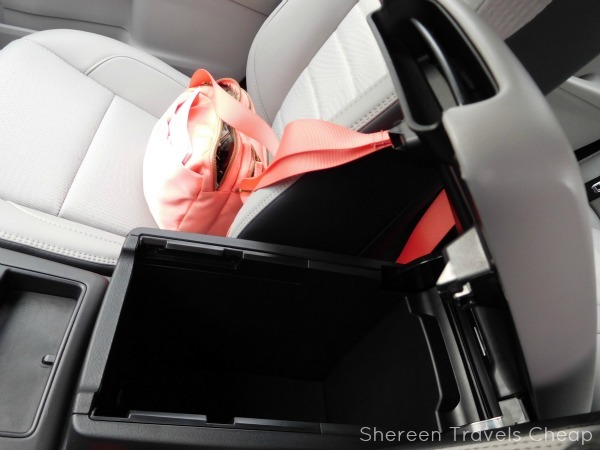 Not only are there a ton of cup holders, but the Camry makes use of all the space that can be used for something. The middle console, used as an arm rest in the front flips up to reveal a large space to hold all your stuff, like snacks, CDs (if you're old school like me) or your purse, which is what I used it for. 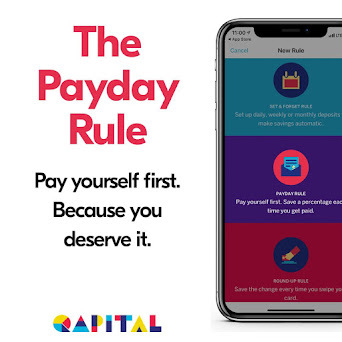 There's a non-skid rectangle between it and the gear stick that can hold your phone or some loose change without it flying off onto the floor when you go around a corner. I always have a spare pair of sunglasses in the car, because I never want to be without. Usually I keep them in the door pocket, but the Camry has a lovely sunglasses holder above the rear view mirror. This keeps them out of the way and also from getting all scratched up by throwing them somewhere else or keeping them in your purse. And, bonus is, no one can accidentally sit on them. Need to plug your phone or tablet or other electronic device in while you're driving? No problem. There's a USB outlet available. You'll also have the usual larger plug that I still call the cigarette lighter, even though it hasn't been used that way in a million years. I have a car plug for my phone and other devices, which means I could keep more than one thing charging at a time. 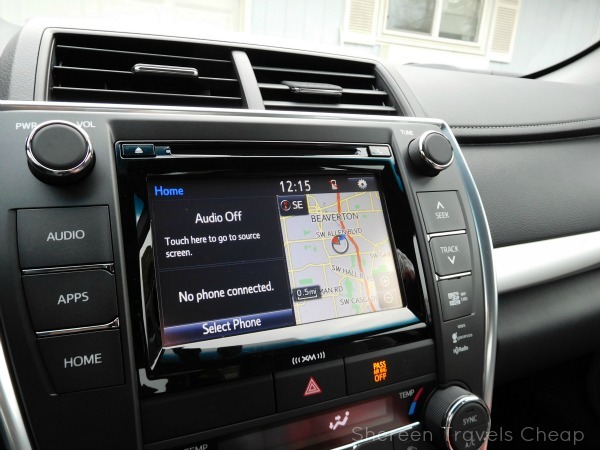 Being at the helm of the Camry is like being in front of a computer. You can run your bluetooth and radio right from your steering wheel and see it all on the dashboard, so you don't have to take your eyes off the road. See how far you've driven, the weather outside, what station you're listening to and anything else important. When you turn the car off, you can see how many more miles you have to go on the gas remaining in your tank. I love that! You can do all that and more on the middle screen. 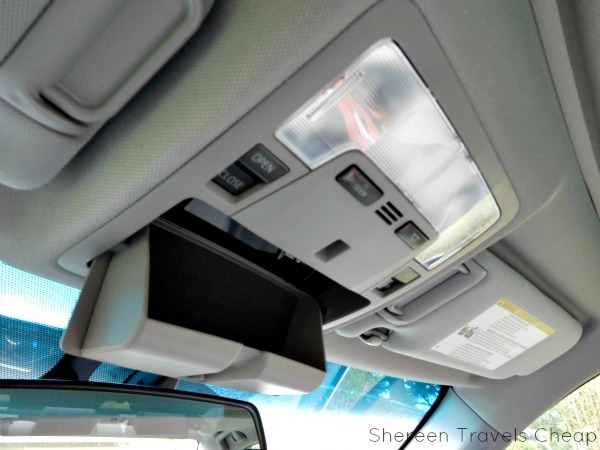 It runs your apps, radio, GPS, backup camera, CDs, dual temperature control (awesome, right?) and allow you to make and take phone calls. Your back-up camera automatically engages when you shift into reverse, helping you back cleanly out of driveways, avoid hitting things when you're in a crowded parking lot and for dreaded parallel parking situations. Although I have a lot of experience parallel parking, it is nice to know when I have more space behind me to keep backing up instead of not realizing I have an extra 4 feet that I could be using to park like a pro and doing one of those Austin Powers' 39-point turns to wedge myself in. 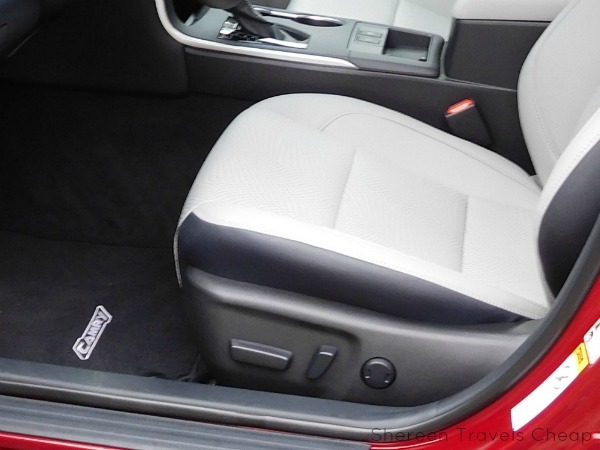 The Camry can seat up to five comfortably, but is a perfect fit for 4 on a long road trip. The seats are plush and the back seat is as equally room as the front, ensuring everyone has enough legroom for long stretched at a time. 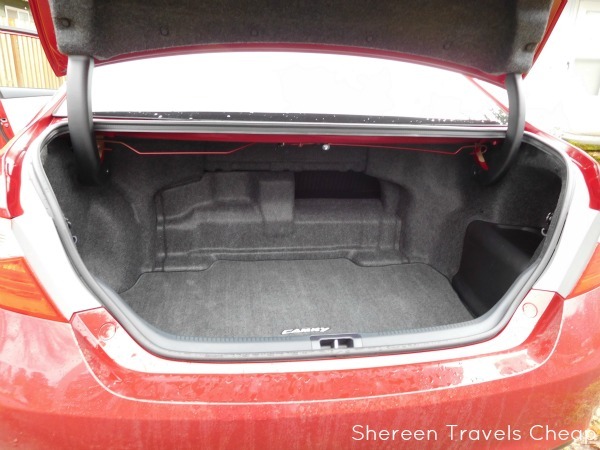 If you need extra room for hauling items, the back seats fold down. Otherwise, passengers in the back have room for comfort, a cubby hole for their phone in the middle there and seat back pockets to hold books or whatever else they like to have on-hand for their trips. 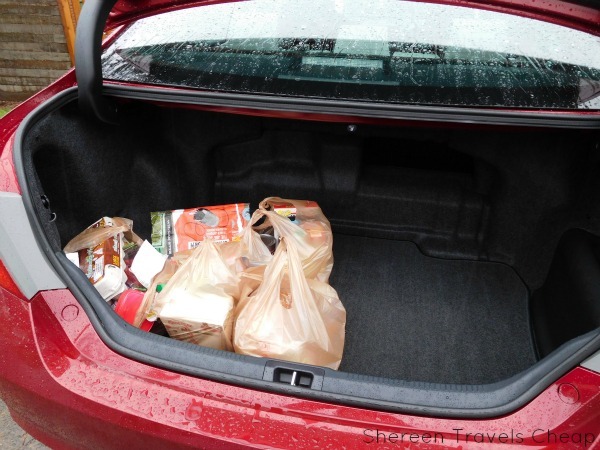 I tend to dump a lot of stuff in my trunk for one reason or another and the Camry's trunk is sufficient for everyday tasks, like grocery shopping or taking boxes of books to the donation drop-off, but also for a family's stuff for a road trip or holding all their bags while going to the airport. I did a large-ish store run where I had 5 bags stuffed with groceries. Obviously, another 5+ could have fit back there with ease. 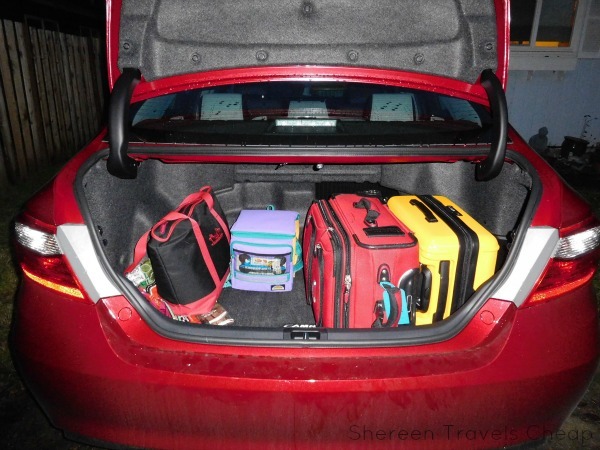 Then I packed as I would if I were going on a road trip with my husband. Two carry-ons, a bag of groceries and a small cooler fit in the trunks with quite a bit of room to spare. Had I need to stash more bags back there, it wouldn't have been a problem at all. I can see having a larger cooler and also adding your kid's extras like pillows and toys without struggling to close the trunk. I was tempted to crawl inside to see how I fit in there, but I resisted the urge, though there is a safety latch inside if one accidentally became locked in the trunk. The model I had included a moon roof, which I loved, even if I could only uncover it to get more light into the car as it poured rain the whole week I drove it around. The main draw for me is how the car can be put into ECO mode to save gas by switching itself to electric when doing a lot of stopping and starting in the city. 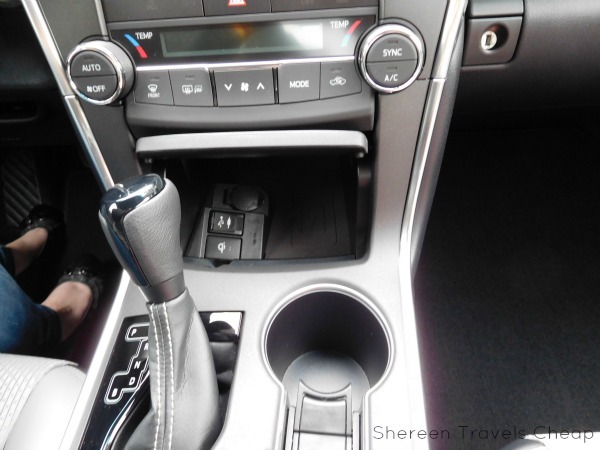 Just switch it on and the car does it all automatically for you. I mean, how many of you have a car that you can drive 100 miles in town and not be down almost half a tank? Not many of you, I'd wager. It seems like you just filled up and ran some errands and already you're at the station again. Where does it go? If you're looking for a great new car for your family, the Camry can't be beat, especially if you have those million soccer runs, PTA meetings, work days and party drop-offs during the week. You won't be wasting your time fueling up, because you won't be doing it as often. It gets an estimated 40/43 MPG (highway/city). Of course, if you need a larger car for your family, Toyota has a great selection of hybrids to suit your needs. This sedan was perfect for us, but there are only two of us and the dog. 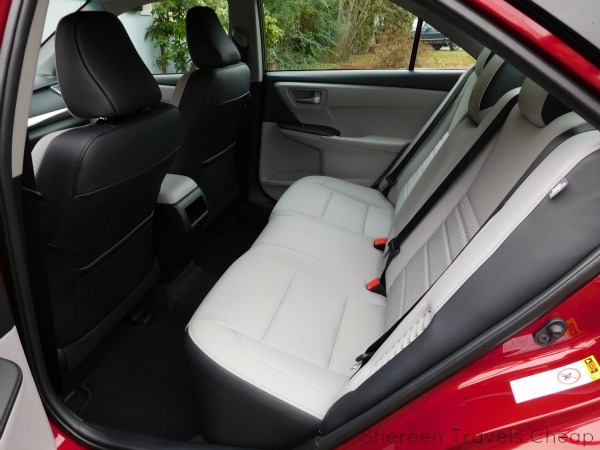 The Highlander Hybrid seats up to 8 and the Prius V seats up to 5 with a hatchback that holds more gear than your typical trunk. 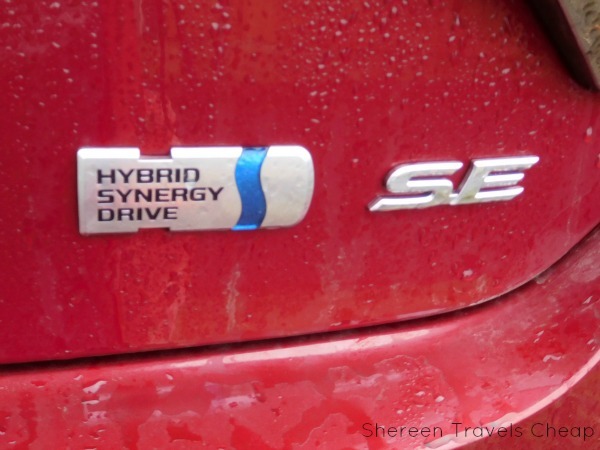 Check out Toyota's site for info on all their hybrid models and their options. What features of the Camry do you think would be most beneficial to you? Disclaimer: I was loaned the Camry for the week for the purposes of this review, but all opinions are 100% my own.